Kickboxing class Toronto location for women and men ready to take their workout to new levels of performance, intensity, and excitement. for getting you in amazing shape. Crazy Fast! 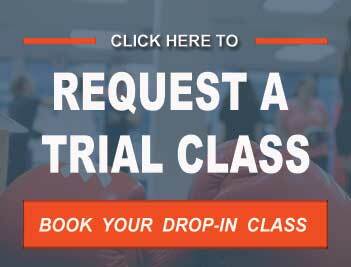 Test-drive our Kickboxing class with a Webspecial offering 3 weeks of unlimited classes, or contact us to schedule a drop-in class – (416)440-2828. 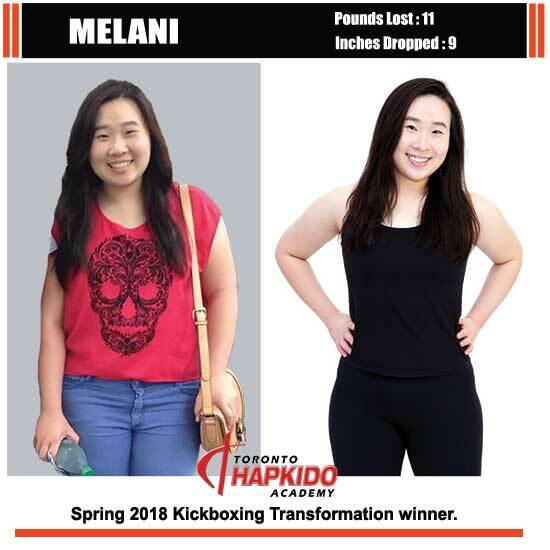 Maintaining an active fitness lifestyle with a kickboxing class Toronto school is impossible if the workouts are dull and repetitive. Besides that, many of the fitness fads out there have all the hype, but hardly ever deliver on fun and results. 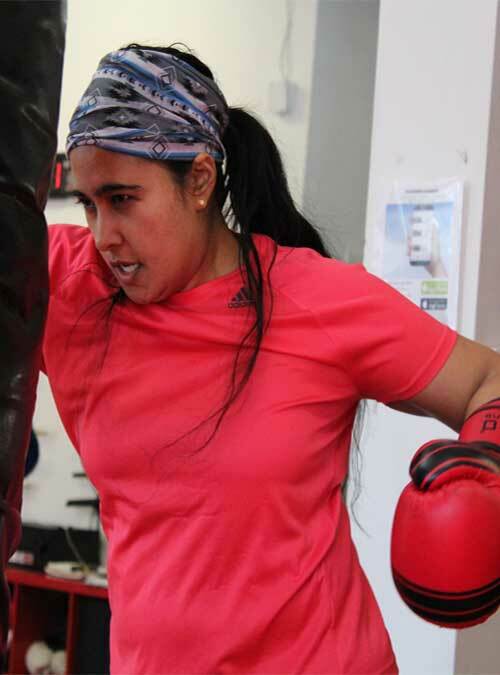 The Toronto kickboxing class at our academy is dynamic, tons of fun, and empowering. Add all that to hitting a punching bag, with real boxing gloves, and you’re in for the most exciting calorie burning workout ever. New and exciting workouts in every class. Periodic assessments and fitness evaluations to keep you on track. A kickboxing class with a revolutionary total-body-workout formula. Great facilities, experienced coaches, and beginner-friendly kickboxing classes. calorie burning workout – trust us on this! 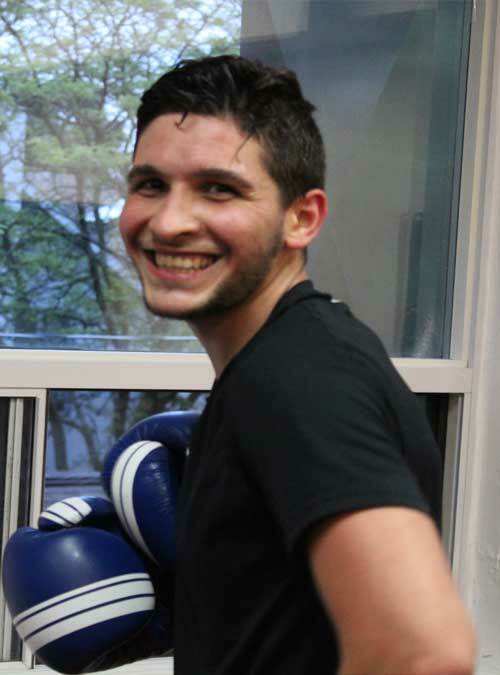 Why our Kickboxing class Toronto school? First of all, we focus on one thing above anything else – getting you in AMAZING shape! Second, we structure your kickboxing class Toronto workouts using a here-to-there approach. That means you are not taking isolated workouts, but every kickboxing class you attend is designed with a fitness objective. We target specific body parts in each session, and our coaches also follow up with regular fitness consultations to hold you accountable to your training goals. 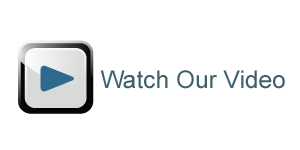 What Makes The Kickboxing Class Toronto Hapkido Academy Offers Different? 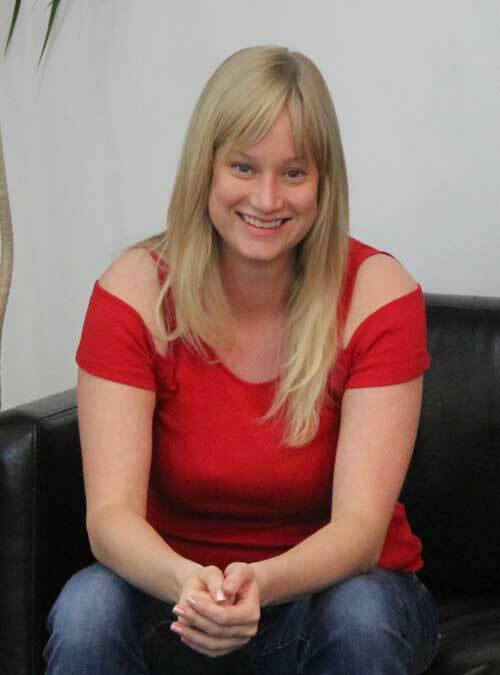 For starters, we have the friendliest, kindest, most knowledgeable fitness kickboxing instructors you’ll ever encounter. 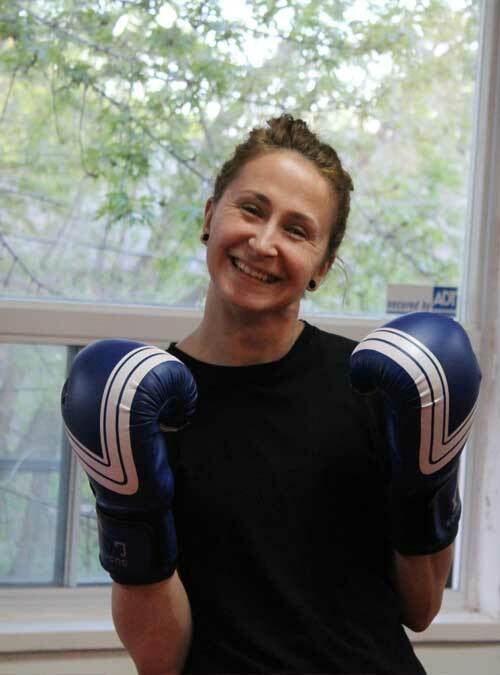 All our kickboxing class Toronto workouts are organized to be fun, functional, and fresh each time you attend. We inspire you to achieve success with high intensity workouts that are exciting, empowering, results-driven. 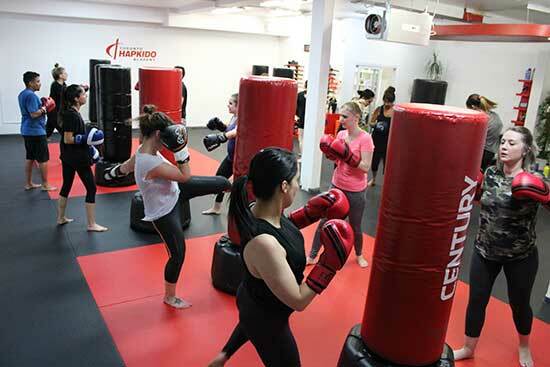 The BEST Fitness Kickboxing class Toronto is raving about. 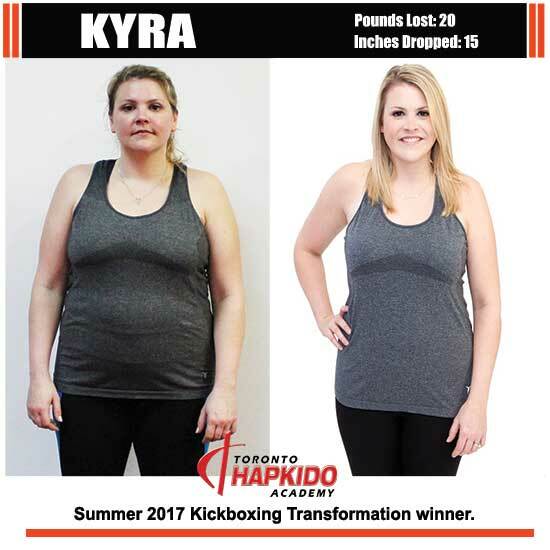 Our kickboxing class Toronto school offers more than just your typical aerobic workout – it’s an all-out assault on stubborn body-fat! All classes are high energy and fun. The community is supportive, welcoming, and will make you want to keep coming back. * We are sometimes unable to accomodate walk-ins. First time trials by appointment only. Check out these reviews of our kickboxing class Toronto school on Google. 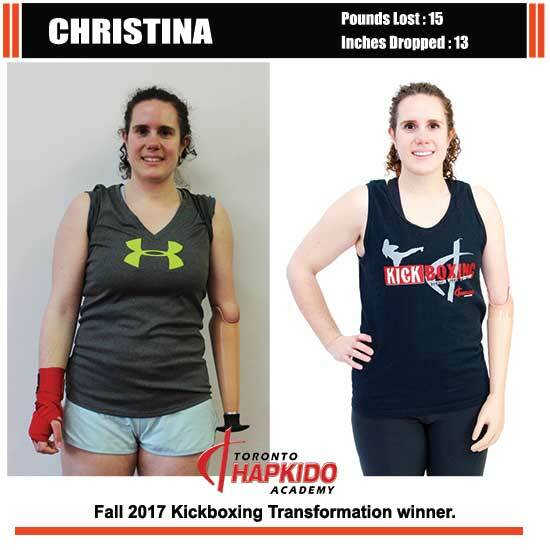 I have battled my weight all my life and I joined this Kickboxing class Toronto location to change that. I dropped from an XL to small in 4 months! But that is just one of the many reasons I find T.H.A life changing. 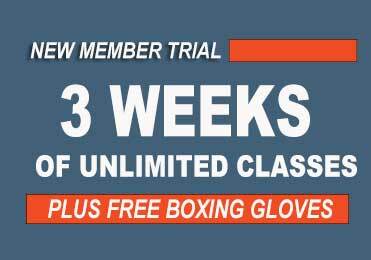 Please do try it out, I drive 30 minutes to get to my kickboxing class every day and it is well worth it. The environment of T.H.A makes me flourish, I feel a lot more stronger and agile than I ever thought I could be, and the instructors have such a positive impact that makes kickboxing the best part of my day. My husband and I have been attending the fitness kickboxing class Toronto Hapkido Academy has for 5 months now. We absolutely love it! Not only can I see that my body has been changed, but also it became a fun hobby my husband and I can enjoy together. I highly recommend T.H.A Martial Arts & Kickboxing if you are looking for something fun and exciting to do with your family member! I had never attempted training at kickboxing class Toronto school before in my life … I’m in my 30s. I was greeted by a wonderful, welcoming community! I have met many like-minded people of all ages. Easy to access by car or transit. Challenges for all levels, great atmosphere, family friendly and amazing kickboxing instructors in my class.